Foreign Minister Dr. Zalmai Rassoul met with his Japanese counterpart, Foreign Minister Seiji Maehera. 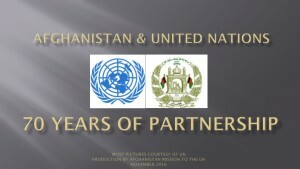 During their meeting, which took place along the sidelines of the 65th Session of the United Nations General Assembly at UN headquarters, the two sides discussed the situation in Afghanistan, and bilateral and regional cooperation. 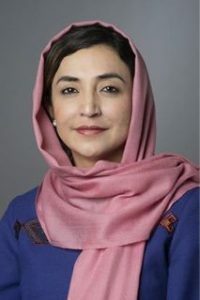 At the outset, Foreign Minister Rassoul congratulated Foreign Minister Maehaera on his recent appointment as Japanâ€™s Foreign Minister, and expressed Afghanistanâ€™s gratitude for Japanâ€™s contribution to peace, security and development in the country. Praising Japanâ€™s role in Afghanistan, he noted that was among the countries with the countries with the largest contribution to Afghanistan. He also thanked his counterpart on Japanâ€™s recent additional pledge in the amount of 5 million dollars for Afghanistanâ€™s stabilization. Foreign Minister Rassoul also underscored Afghanistanâ€™s increased capacity for absorption of international assistance.Â He said Afghanistan was fully committed to ensuring transparent and effective utilization of international assistance. The Japanese Foreign Minister reaffirmed his continued commitment for peace and security in Afghanistan.Â In that regard, he highlighted Japanâ€™s commitment to the training and salaries of Afghan security forces.Â Among other areas of assistance, Japanâ€™s Foreign Minister noted his governmentâ€™s readiness to helping build Afghanistanâ€™s agricultural sector, pending an improved security environment. The two sides also discussed the transition to increased Afghanistan responsibility in the areas of security, development and governance.